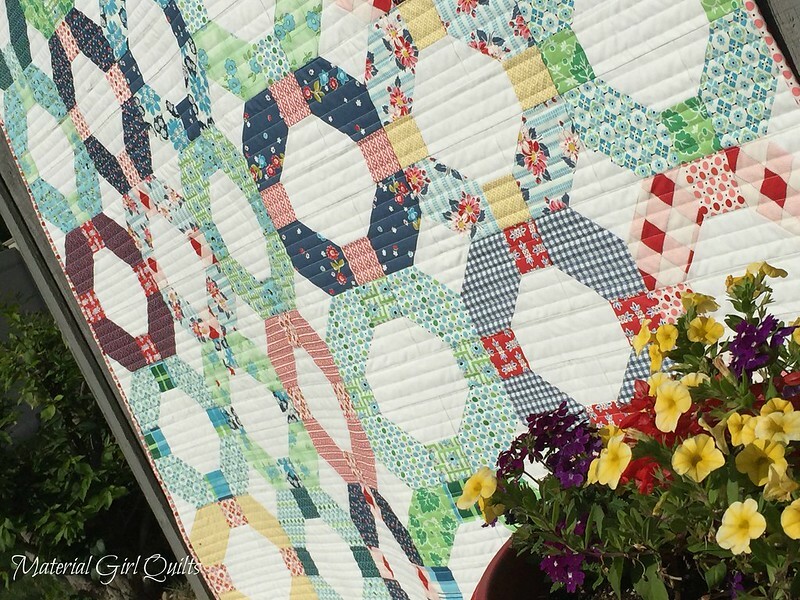 I love absolutely everything about this quilt. 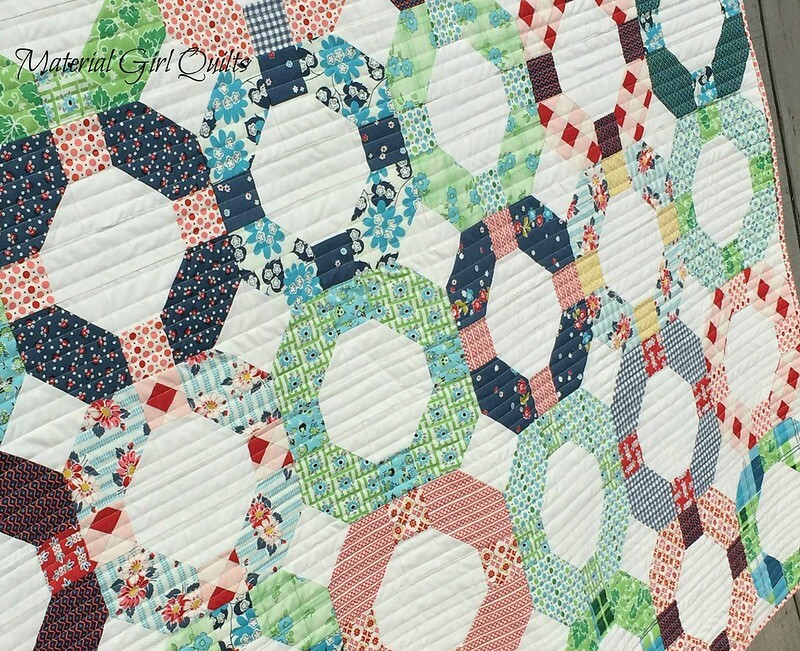 I just knew that the combination of Camille Roskelley's Cheerio quilt pattern and Denyse Schmidt's Picnic and Fairground fabric would be perfection...and I am not at all disappointed. 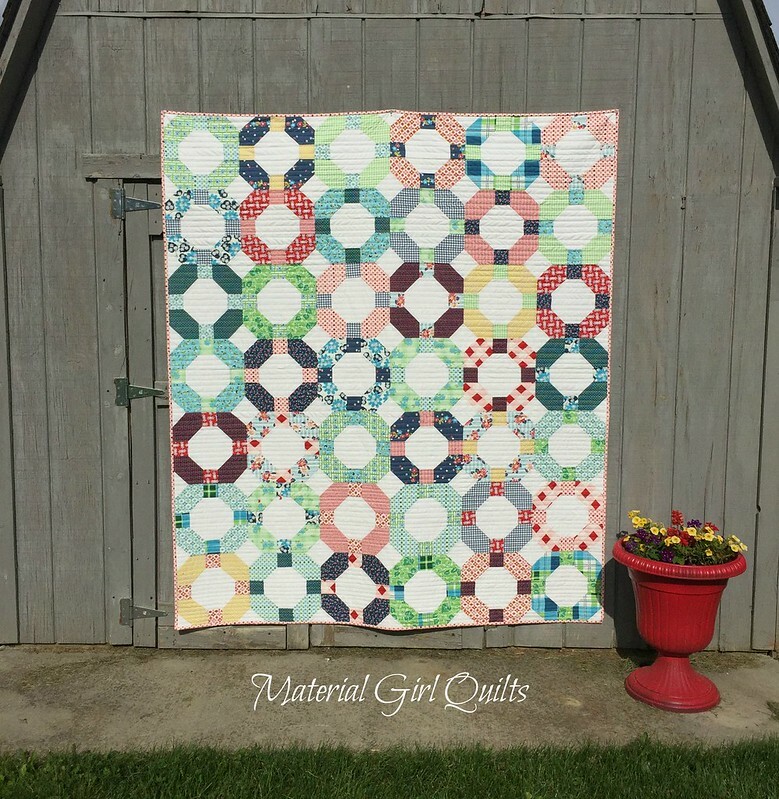 I also love this quilt because I finally pushed past my fear of straight line quilting on the longarm. Now I wonder, why did I wait so long to try this?!?! 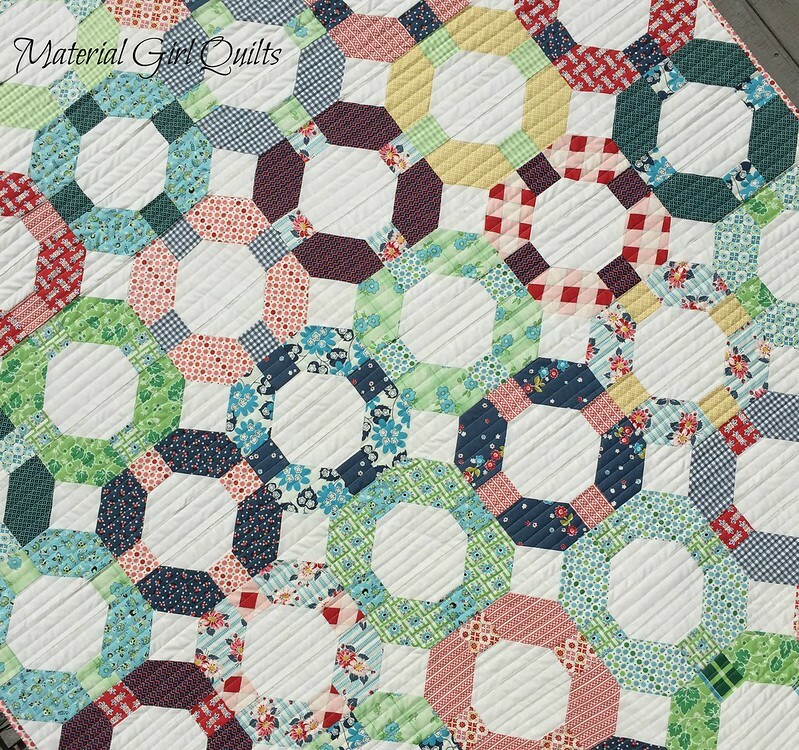 I LOVE the look and texture of straight line quilting. I will never push a big quilt through my little Bernina again to do it :) And don't my flowers look so great with the quilt too? 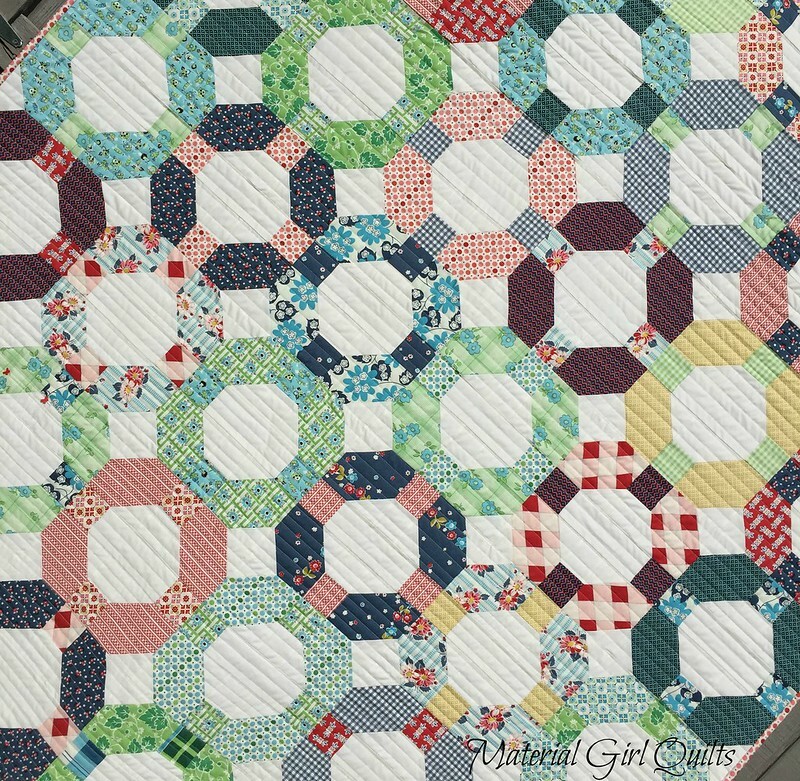 The red dot binding is a happy touch and really does make me think of summertime, picnics and fairgrounds. The backing fabric is another DS Quilts print that I picked up at JoAnn's from her Sweet Ruby line. It is still in most shops if you are interested. 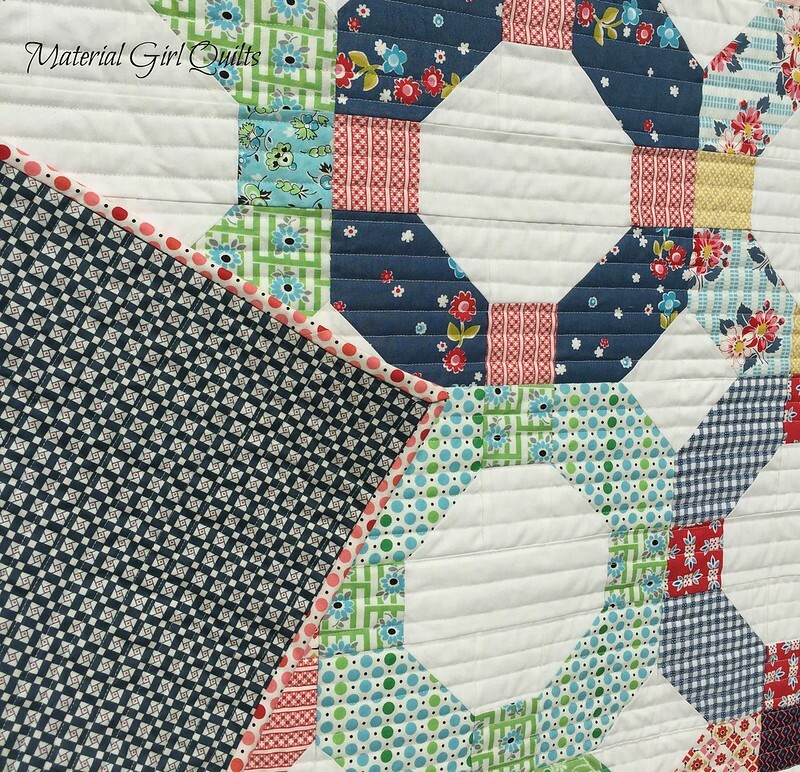 The red, white and blue print is a perfect patriotic touch to this summer quilt. And one more picture, just because I couldn't help myself. 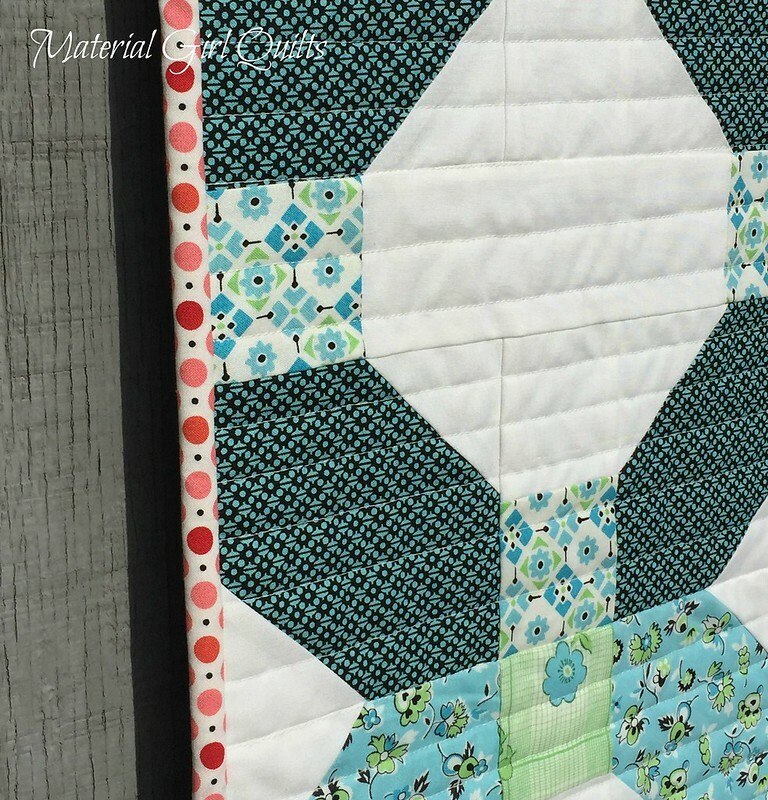 Thanks for stopping by and I'm happy to have a finish in the #mypreciousqal hosted by Kelly on Instagram.